Point is, nowadays, most of us rely on our smartphones to capture wonderful memories and the thing about memories is that sometimes, they happen in a split second. Definitely not enough time to rifle through your camera roll to choose which photos to delete. If you've been in a similar situation before, you will want to "read more". 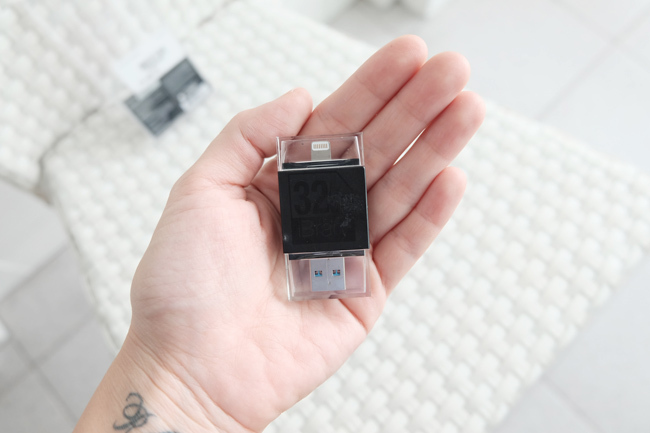 The iBrary is a handy little storage device that allows you to add an extra 32GB to your iPhone's memory. A must have for 16GB iPhone users because with app sizes these days, that amount of storage really won't cut it. Great to have for 64GB and up iPhones for peace of mind. Especially if you like to have a lot of music and videos at your disposal. 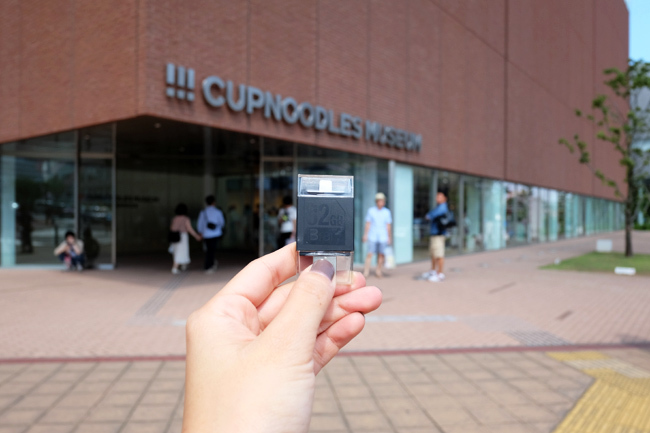 I don't really trust "clouds" and other types of online storage (because hey, we really have no control over what happens to our files over there), I prefer to have it in my hands, tangible. Especially during travel when wifi/mobile internet is not always available. What I love most about the iBrary aside from its size is how easy it is to navigate with the app! It's free on the App Store! 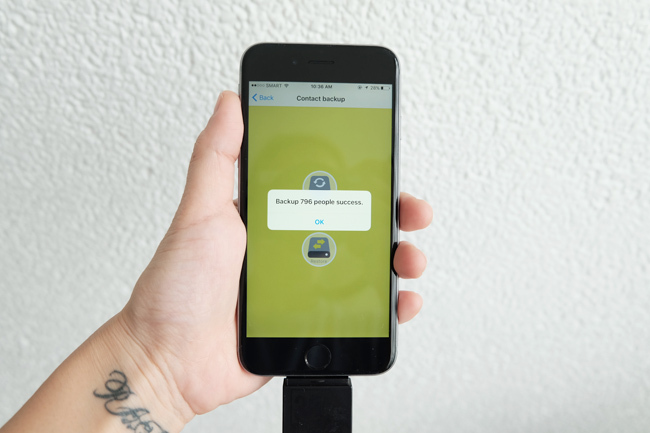 Moving files from your phone to the iBrary only takes a few clicks. 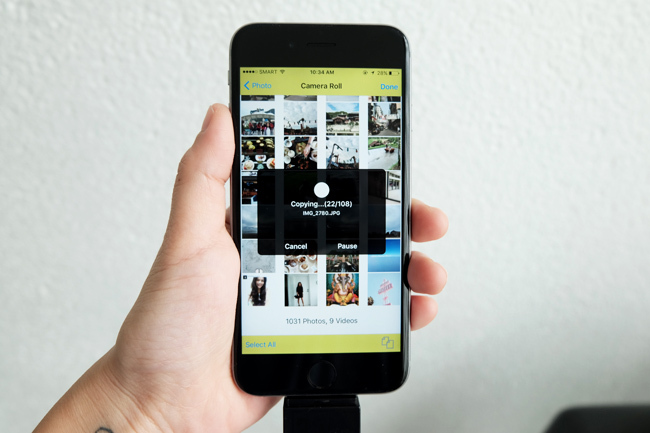 Once you've selected photos, just click the little "copy icon" found at the bottom right of your screen and the app does everything for you! 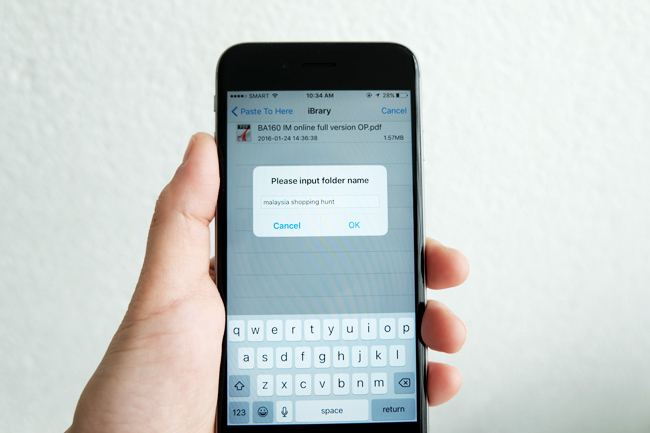 Once photos are successfully transferred, you may now delete from your iPhone! Need to get some photos back? And all you need to do is pick out where you want your photo to be sent! 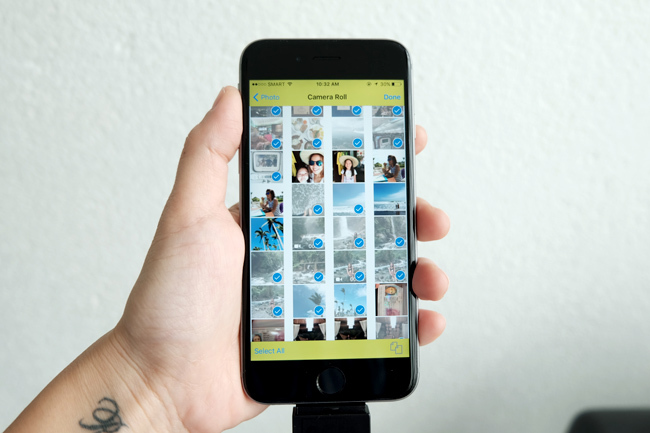 Back to the Cameral Roll, Flickr/Facebook, iMessage, etc. 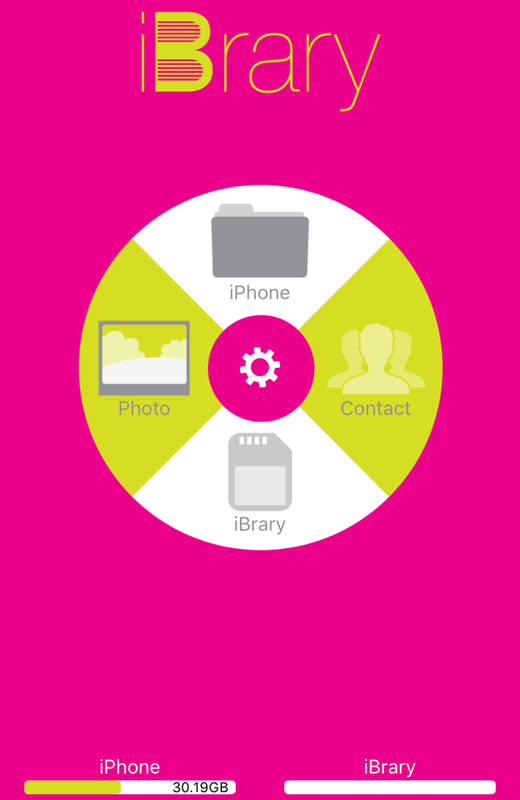 The iBrary doesn't just work great with photos, videos and music, it also backs up all your contact with one click! CONCLUSION: The iBrary is a must have for people who rely on their smartphones not just for communication but also for entertainment and documentation. Out of all the other smartphone accessories available in the market today, this one definitely belongs in the TOP 5 must-haves list! Get yours today at all Beyond The Box and Digital Walker Boutiques nationwide. 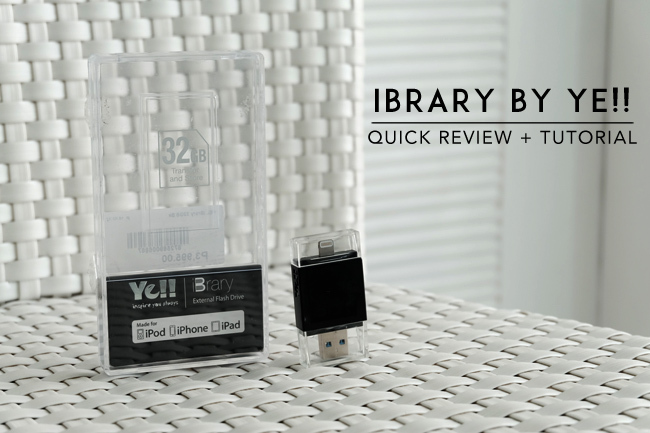 HOPED YOU LIKED MY QUICK REVIEW OF THE iBrary by Ye!! bookmarking this! will definitely buy myself one when I get the budget! I so badly need this!!! Gah I need this! I only have a 16-gb iPhone and while I'm not actually running out of space, a backup storage device sounds awesome! wow, this is so cool! I'm lucky I have a 64gb memory card on my phone, I bought one before. I don't use an iPhone but my two daughters do and they're always complaining about its limited memory. Good to know that there's something now that will solve their dilemma. Wow this is so cool, I don't use an iPhone though. But I will share this to my friend na meron. I am not an iphone user but this is a good product, I think. 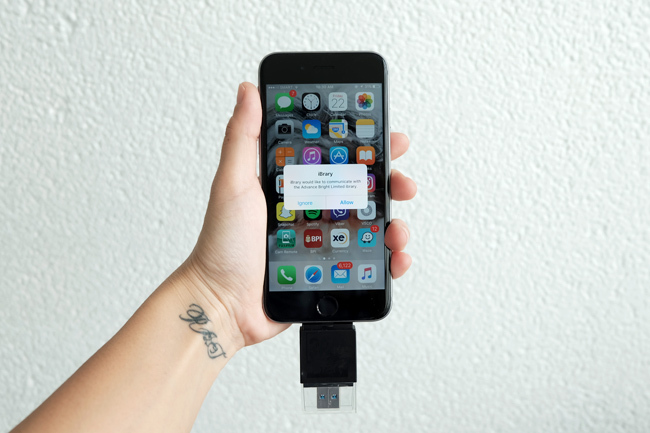 It's about time Apple releases some sort of external drive for mobile phones. I've seen a Unable to Take a Photo warning message too many times! Thanks for the tip Sarah! iPhone users will find this device really helpful. I'll recommend this to my friends. Thanks for the heads-up! Hindi sya mura ha! but if you are really after the capacity without having to buy a new iphone, pwede na! I want this since I almost reached my memory. Thank you for sharing! Nice! 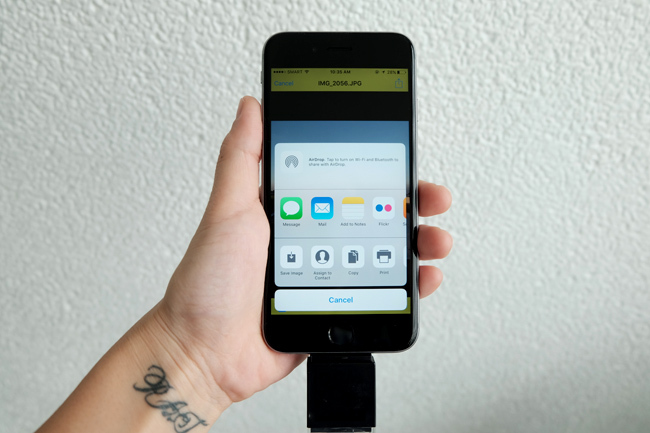 It's kinda like the Leef iBridge ba yun... dual ends din for easy transfer of data. This is a clever idea! I hope they'll come up with a similar version for android phones, I am in dire need of more storage on my phone.